Envirostar Inc (NYSEAMERICAN:EVI) is a $292-million market cap distributor of commercial laundry and dry cleaning equipment, and industrial boilers. Greenhaven Road Capital, which recently released its Q3 investor letter, is bullish on Envirostar, boosting its position in the company during the third quarter. The hedge fund, led by Scott Miller, discussed its investment thesis on Envirostar and four other companies in its letter. In this article, we will take a look at the fund’s views on Envirostar. One company that is no longer in the top 5 holdings is Envirostar. We have not sold any shares, in fact, we have purchased more shares. There was a 20%+ decline in a matter of three days, just after the quarter ended and more than 35% over the course of a week. The share price decline coincided with a short seller putting out a report. There are a lot of ways to make money in the investment business. I prefer to find strong management teams with significant ownership stakes pursuing strategies that make sense. Certain short sellers prefer to cherry pick data and present it in the most negative light and in the loudest way possible disparage a company. These short sellers use their reports which they release widely as the catalyst to drive the share price down. Since the short seller is hoping to serve as the catalyst to drive the share price down, the more inflammatory the report, the better. These reports can be quite effective when there are no analysts covering the company, the company does no earnings calls, and the company has no formal investor relations effort. In the case of Envirostar, I know and respect the short report author. I think he is wrong on Envirostar, but I suspect he will also make money on his “trade.” He got to build his short position in advance of releasing the report, he knows what selective information he has omitted, and can “cover” or buy back the shares closing out the short position whenever he wants to. The shares of Envirostar traded 7X as many shares on the day that the short report was released vs. the previous day. There was a deluge of selling seconds after the release of the report. An incremental 240,000 shares traded on the day of the release. If you compare the day before the release to the day of the release and the subsequent two days after the release, an incremental 500,000 shares traded. This is on a free float of less than 3M shares and, if you factor in a couple of major holders who did not sell and index funds, a free float of well under 2M shares. I surmise that few of these short sellers were at the annual meeting last November where management outlined their buy and build strategy. I surmise that few of the sellers took the time to understand the ownership structure and to see that over 70% of the shares are owned by insiders. I surmise that few took the time to study the 8K from October 28, 2016 to see that 29% of the gross profits from the Western States Design acquisition are from parts and services, which is counter cyclical. I surmise that they did not take time to look at the balance sheet to see how under levered the company is with $4M in debt. The people who quickly followed the short report author into a non-cyclical, non-levered, extremely high insider ownership short may ultimately regret not doing more work. The short report did shine a light on valuation. Envirostar is attempting to do a roll up in the commercial laundry space. The strategy is to buy within the fragmented industry at reasonable multiples using a combination of cash and stock. The strategy is then to materially improve the purchased businesses over time. If the strategy is successful, over time, we should see rapid revenue growth and expanding operating margins. The short report did not venture to project future revenue or margins, but looked back at the first year of a multi-year buy and build strategy. Effectively taking the least favorable time period, where acquisition related expenses have the largest impact, and because companies were acquired as the year progressed, only a portion of their full year revenues are reflected in the income statement. The result is the short report focused on revenue of $93M when, in reality, if adjusted for a full year of revenues, the pro forma revenue is likely north of $150M and normalized margins will be closer to 10%. These types of adjustments would paint a far less negative portrait, and not surprisingly were not done in the short report. My belief is that the valuation may have gotten ahead of itself, but if the company continues to be successful buying companies at 5X EBITDA using cash and stock at 10X EBITDA+ and improving those companies, today’s prices will appear to be quite reasonable. The math is quite favorable if the businesses actually improve after purchased. The model has worked wonders at Watsco and Pool Corp. There is clearly execution risk, but this is not your typical rollup. Insiders own or control over 70% of the company, and the founders of companies they acquire agree to lock their stock up for multiple years. The CEO has experience implementing a buy and build strategy, and, in my opinion, is a jockey to be supported over the next five years, not shorted. I think in the long run we will thank the author of the short report for creating this buying opportunity. We almost doubled our position. Envirostar Inc (NYSEAMERICAN:EVI) is the only publicly-traded distributor of commercial, industrial, vended laundry products and industrial boilers in the U.S. laundry industry. In addition to selling its products, the company also provides installation and maintenance services to customers across the U.S., Canada, the Caribbean, and Latin America. Shares of Envirostar Inc (NYSEAMERICAN:EVI) have been performing well so far this year, surging over 76% year-to-date. The stock has jumped more than 150% over the last 12 months. Envirostar’s financial performance was quite impressive over the last year. For the fiscal year ended June 30, the company reported a %161 increase in revenue to $94 million versus $36.02 million in 2016. Its operating income rose by 92% to $5.4 million while net income jumped 82% to a $3.2 million. Earnings per share were $0.31 per share compared to EPS of $0.25 for the same period last year. 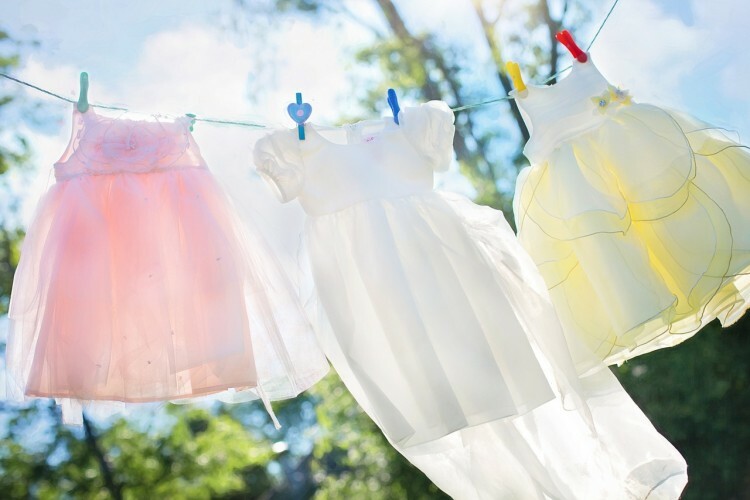 Meanwhile, Envirostar Inc (NYSEAMERICAN:EVI) recently completed the acquisition of Tri-State Technical Services, a distributor of commercial laundry products in Georgia. You may love to read our articles discussing Greenhaven Road’s investment thesis on Redknee Solutions, Etsy Inc., TripAdvisor, Fiat Chrysler Automobiles, and Limbach Holdings.